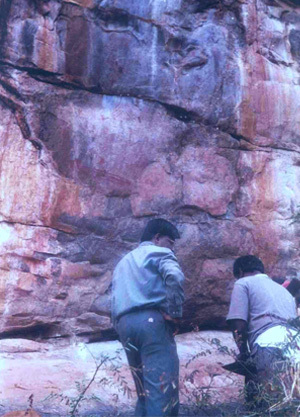 In the Nilgiris, rock art sites are found in Sigur, Iduhatty, Konavakorai, Thengumarahada and Vellerikombai, of all these five sites, the Vellerikombai Rock Art site differs from the rest of the sites both on coloration and style, apart from the depictions. 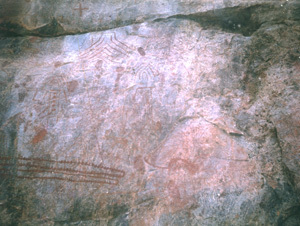 For instance, Vellerikombai Rock Art is in red ochre, with stylized figures depicting various human forms. 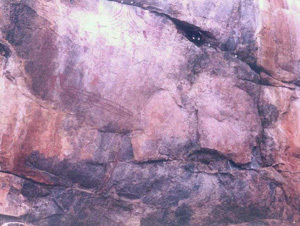 This rock art site was first identified by Mr. Allen Zackerel, Professor of anthropology from USA in 1984. Later, it was studied by the state archaeology officials of the Nilgiris. The rock art depictions in this site come under the category of ‘petrographs’ means “rock art” – the other being the ‘petroglyphs’ (“rock engravings”). In other words, petroglyphs are totally absent in this rock art site. Tribal’s live in this region, in general, believed that the Vellerikombai rock art depictions are belonging to the ancestors of the indigenous people of this area, namely, the Kurumba tribes. Contrary to this popular belief, archaeologists and the musicologists maintain that they are definitely, prehistoric, belonging to the Neolithic period in particular. They attribute the presence of humped bull, among the various depictions, in support of this conjecture. Interestingly, the local indigenous people – the Kurumba tribes – regard these rock art depictions as their ancestral heritage. 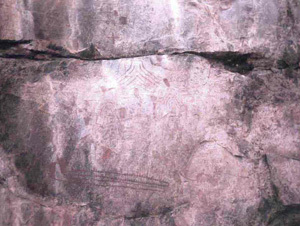 Setting aside the above two schools of thought, the Vellerikombai rock art site could be regarded as unique, as its depictions are full of stylized forms, deviating from the general depictions of animals and human activities such as hunting and dancing scenes in the other rock art sites of the Nilgris. Several attempts were made to interpret the rock art of this site.R. Poongundran, the then Registering Officer of State Archaeology Department, Coimbatore considers that these depictions were done by the Neolithic cattle keepers who wandered from nearby Karnataka to the fringes in the Western Ghat area of Tamilnadu. M. Basavalingam, (Retd.,)Professor, Department of English, Government Arts College, Ooty, interprets the same depictions as extra – terrestrial, possessing magico-religious powers. In his recent article published in the Downtown Chronicle, a weekly news magazine of the Nilgiris,, he made a fair attempt to compare the so-called extra-terrestrial figures with some of the Australian rock art depictions. 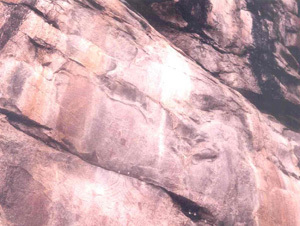 But believes of the local Kurumba tribe is that they call this rock art as “eluthu-parai” means ‘pictograph – rock”. An elder shaman of the Kurumba told to the author that these art are the holy message of their ancestors and they use to draw these pictographs on the body of the patients who have incurable disease. Apart from that they also draw similar kind of art on the wall of their huts during the festival times. 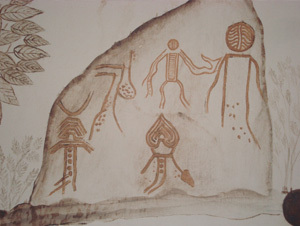 So, the present Kurumba art have a strong influence of the rock art of “eluthuparai”.